Golf Discs are designed to produce a variety of flight paths within a variety of playing conditions. Some are designed for maximum distance, some to turn left or right, and some for highly controlled short distance shots. There are literally hundreds of discs available and picking the right one can be difficult. 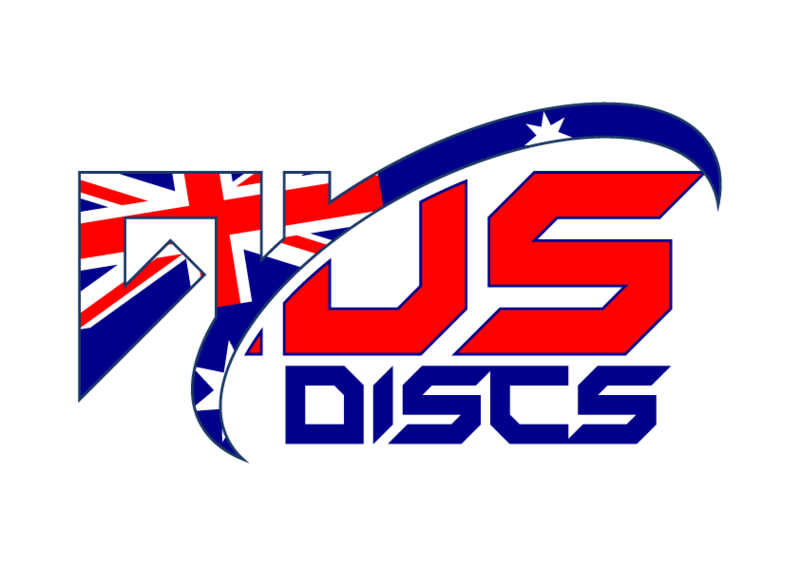 On this page we’ll explain you what kind of purposes different kinds of discs serve and which discs are most suitable for you. Please note that these are only recommendations and technique is the most important factor in a successful throw. Some pro players can easily throw a putter over 100 meters while even the top distance driver may cover mere 30 meters in the hands of a beginner. First of all, you should choose a disc type. Consider what you need: a new putter, more stable driver or are you maybe buying your first disc ever? Once you have found the right type of disc, you can choose the plastic type. Generally all discs are available in at least two different types of plastic. Choose a plastic type that is best suited for the purpose of your disc. Choose an approriate weight class to suit your purposes. Discs are divided in different categories: Putters, Mid-range Discs and Drivers. Drivers are further divided in to two subcategories: Fairway drivers and Distance drivers. There are different kinds of discs for differing purposes in each category. As the title says, putters are used for putting and approach shots. Due to the round and high profile putters generally fly in a very straight line. Putters are the slowest golf discs and the most accurate types of discs available. Putters are generally used within 50 meters of the target. Mid-range discs, or mids, have a slightly flatter profile and wider rim, making them a bit more difficult to control than putters. Mids are usually thrown from 50 to 100 meters away from the target, depending on player. Mids are most suitable for beginners while learning flight characteristics of discs. Drivers are an essential part of every players game. Drivers are the flattest disc type by profile and the rims of drivers are wide. This is also the reason why drivers differ so greatly in flight characteristics. Fairway drivers are slower due to narrower rim and suit beginners better. Distance drivers have wider rim and are faster because of this. We recommend distance drivers for more advanced players and for those that can throw over 80 meters. Other important factor for choosing right disc is plastic type. All of our manufacturers offer their disc models in various plastic types. You can find detailed descriptions of different kinds of plastic types below. The DX Line offers the widest selection of models and weights. These discs are affordable and provide an excellent grip in a variety of weather situations. • Provides superior grip that performs well in most weather situations. Pro Line is manufactured using a special blend of plastics designed to provide unique qualities for each model. These quality discs offer increased durability over DX plastic and provide an enhanced grip when compared to the Champion plastic. Pro Line discs provide additional glide in comparison to all other Innova’s disc lines and are more affordable than premium Champion or Star Line discs. • Provides an improved grip over Champion Line plastic. • Some models available with colorful I-Dye designs. The ”original” clear or pearlescent plastic developed by Innova. Champion Line discs retain original flight characteristics for hundreds of rounds of disc golf. Sturdy Champion plastic makes a disc stabler than its DX, Pro or Star counterpart. Also available with colorful and unique I-Dye designs. • High quality plastic which provides superior durability and reliable performance. • Suitable for the increased throwing speeds of professional players. • Retains flight characteristics much longer than DX or Pro Plastics. All new innovation introduced in 2012! Blizzard technology incorporates thousands of microbubbles into durable Champion plastic. This results in high speed, premium plastic drivers in weights all the way down to 130 grams! Blizzard discs discs fly with almost the same stability as the equivalent model 20 grams heavier. The Blizzard Champion Line has been adding distance for both pro and amateur players. The Blizzard Champion Boss currently holds the Distance World Record at 255 meters. • Lighter weights = More distance with less effort. • Superior durability in light weight plastic. • Great for beginners and more experienced players. • Discs under 140 grams float in water. Star Plastic offers the same outstanding durability of Champion plastic with improved grip of Pro plastic. Top-of-the-line plastic blend. • The long-lasting durability of Champion plastic, even on wooded or rugged courses. • Some models available in recycled Echo Star plastic. The GStar material is an unique blend of Innova’s hugely popular Star plastic. The GStar discs are more grippy and flexible than regular Star line discs. This kind of grip level hasn’t been seen in premium plastics before. It also maintains its grip and flexibility even in the cold air, making this plastic blend optimal for winter Disc Golf. The material yields a unique metallic coloring that shimmers and shines in the sun..
• Beautiful metallic shimmer – Great looking plastic! Ken Climo’s own line of discs. KC Aviar and KC Roc are manufactured from an extraordinary stiff pro-plastic designed for Ken Climo. These discs are more overstable than ordinary discs of the same model. An extremely durable plastic. Juliana Korver’s own plastic type. JK Pro Aviar is manufactured from sticky, yet quite stiff, plastic blend designed for Juliana Korver. This plastic provides an excellent grip. The XT material is arguably the best choice of plastic for wet conditions. The XT stands for XTra Traction. It has proven to be one durable and griptastic plastic. The XT material will appeal to players who appreciate a more traditional feel to their discs. It has better wear and scuff resistance than the DX material. Jay ”Yeti” Reading’s own plastic type. Yeti Pro Aviar, designed for Jay Reading, is manufactured from a sticky plastic blend, which yields a great grip. Yeti Pro plastic is stiffer than JK Pro but not as rock hard as KC Pro. Phosphorized discs are really handy as they glow in the dark. Glow DX plastic is soft and provides a good grip. Available many different disc models. Phosphorized discs are really handy as they glow in the dark. Glow Champion is very similar to Champion plastic but slightly slickier and more durable. Available in mids and drivers. ”Rubber pro”. A gummy, very soft plastic blend that provides excellent grip. Works especially well in wet and cold conditions. Innova is doing its share for the environment with Echo Star plastic. Echo Star discs, introduced in 2009, contain 50-100 percent of recycled plastic. Echo Star plastic is softer than regular Star plastic and offers a great grip. StarLite is the Star plastic counterpart to Blizzard Champion. It is regular Star plastic infused with thousands of microbubbles to allow production of discs in lower weights. The StarLite selection offers great variety of drivers in beginner friendly weights. Lot’s of grip even in wet conditions. The most affordable plastic in the Discmania line. Soft but firm feel – ideal for putters. Similar to Innova’s DX plastic. Great feel and added glide. Probably the grippiest plastic type out there, ideal for the conditions of Northern Europe. The plastic reveals new flight features in your disc when worn down. Typically a bit more understable plastic type comparing to S- and C-line. Discmania’s most durable plastic – similar to Innova’s Champion plastic. Good grip and showstopper see-through look. Typically the most stable plastic of Discmania, well suited for drivers. The most popular of Discmania’s plastic types. Blizzard technology incorporates thousands of microbubbles into durable C-line plastic. This results in high speed, premium plastic drivers in light weights, making the longest flying high speed drivers wieldable for players with lower arm speed. Excellent grip in all weather conditions with great durability. This plastic ages well, which means that your disc doesn’t change drastically in it’s flight behaviour after a couple of collisions with trees. Very similar to Innova’s Star plastic. Softer version of S-line. This was a test run, used only in MD1s a couple of years ago. Discontinued since the launch of Discmania P-line, but still available in limited quantity. Extremely grippy and durable plastic blend that feels great in your hand and absorbs collisions very nicely. Similar to Innova’s popular GStar plastic, the G-line is the perfect choice for rounds in cold weather, as it stays flexy even when the temperature drops below zero. The G-line plastic also features a beautiful metallic shimmer that makes each disc look unique. Discmania’s X-line material is arguably the best choice of plastic for wet and cold weather conditions. This plastic blend has a very organic feel and probably the best grip out of any plastic materials out there. The porous structure makes material grippy even when wet. The X-line material will appeal to players who appreciate a more traditional feel to their discs. It has better wear and scuff resistance than the Discmania D-line material. Fission™ Microbubble Technology produces an ultralight core with evenly distributed and imperceptible weight reduction microbubbles. The ultralight core allows an even higher GYRO™ overmold density relative to the core, yet still remaining in the lighter weight classes — 135g to 165g in the Photon. This produces an entirely new type of lightweight disc never before seen in the sport, and beyond the capability of any other manufacturer. Weight distribution, stability, and durability of prior “bubble” discs are all improved upon by Fission. Skeptics of prior light or bubble plastics are in for a surprise, as Fission brings advanced disc physics and true high-tech molding into the lightweight plastics arena. Plasma began development in 2013. Throughout 2014 small numbers of metallic discs were released within regular production Neutron shipments. Prototype Plasma was seen in the “metallic” Neutron Envy, Crave, Switch, Tesla, Volt, and Icon mini. Plasma will never again be seen with a Neutron stamp. Players have raved about the added glide of the mildly domed Plasma material, as well as its excellent grip, flex, and visual appeal. During the 2015 season we plan to bring several more key MVP models into the Plasma lineup. 170-172 grams and 173-175 grams are approriate weight classes for putters for most players. A heavier disc is more reliable as it is stabler and less sensitive to wind. Additionally, heavier disc ”sinks” better into chains of a disc golf basket. Light putters are excellent for young players. Junior players and beginners should go for these weight classes when selecting a mid: 150 class, 151-164 grams or 165-169 grams. Players who can reach 60-80 meters with mids can use heavier discs. Competing players use the heaviest, 175-180 grams, weight class mids in general. The 150 class and 165-169 grams weight classes are best for junior players and beginners. The most common misconception is that heavier discs fly further. Lighter discs work well for players at all levels. Many of the competing players use under 170 gram drivers, especially when throwing uphill or in moderate wind conditions. The most used weight class, apart from Blizzard discs, in distance throws is 165-169 grams. Players who can throw over 100 meters with drivers also use heavier weight classes, e.g. 170-172 and 173-175, latter being the heaviest weight class in drivers generally. A heavier driver is more reliable in windy conditions.